50 Cent has an impressive story. From his early life, during which he was very poor and started selling drugs at a young age, he has managed to achieve amazing success not only in music, but also with various business ventures. Clay Jackson is a rapper featured in The Ballad of Gay Tony, and has a star on the Vinewood Walk of Fame. 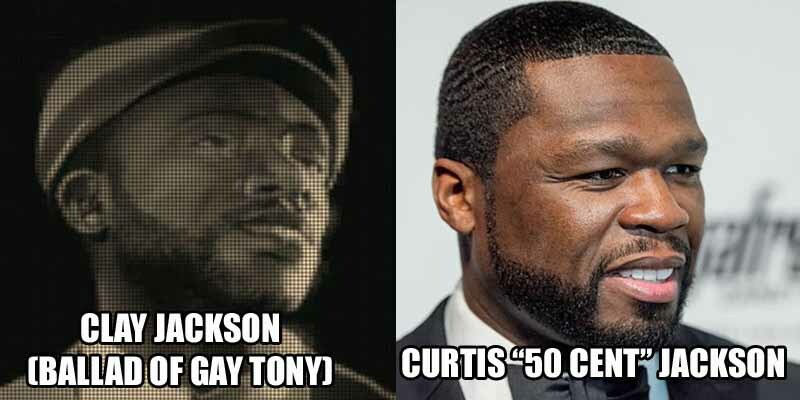 While the character has elements of a few different rappers, he is primarily a mockery of Curtis “50 Cent” Jackson. The character is also implied to be a closeted homosexual, which may be a reference to the rumors that have popped up over the years that “Fiddy” is in the closet. As far as we can tell, he’s straight, but in 2015, Vivica Fox once again implied the rapper is gay.